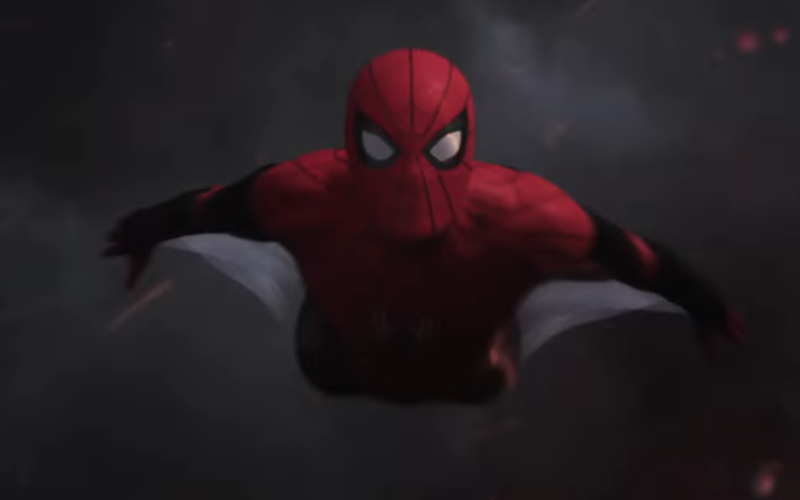 Hey, have you seen the first Spider-Man: Far From Home trailer? 1. I’ve been waiting forever for the perfect Spidey movie and while this one won’t be that – prime Spider-Man needs to be battling evildoers in Manhattan – I liked pretty much everything I saw here. 2. And that’s not to, say, knock Venice, which is one of the most beautiful cities in the world and is one of my favorite places to visit. (Not to mention London and Paris and …) The scenery is going to be killer in this one. 4. Let’s jump right to Mysterio. 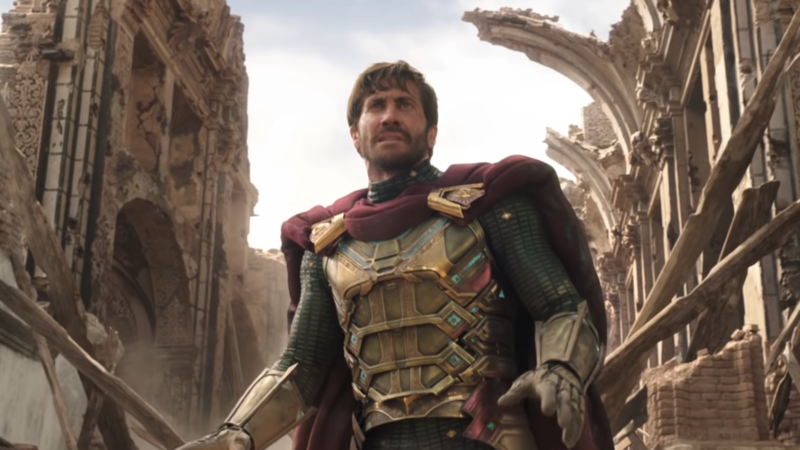 I’ve avoided pix that have been out there so I was actually startled that they’re giving Jake Gyllenhaal a version of the classic costume. Not so long ago, producers would eschew such a flashy, comic-booky outfit in favor of, say, a generic black leather outfit with a tricked out motorcycle helmet. That’s commitment, folks. 5. 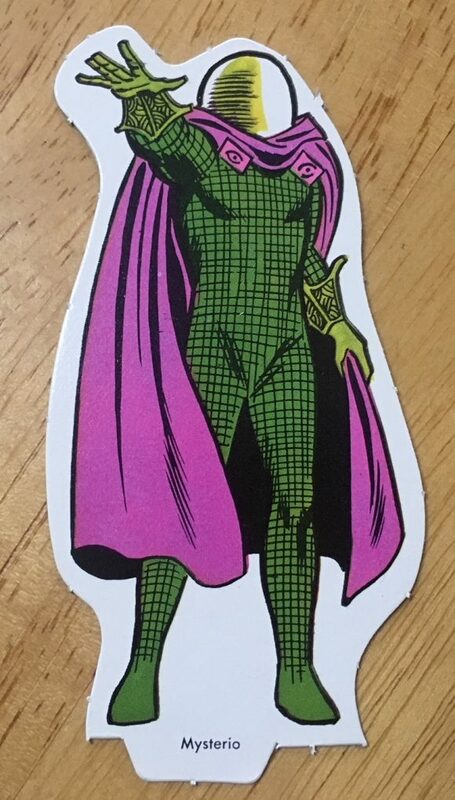 Because Mysterio is one of the coolest-looking bad guys in comics history. From my Ideal Spider-Man playset. 6. Tom Holland’s really comfortable in the role, isn’t he? My fave version of Mr. Parker is college/post-college Petey. But the Marvel Studios folks have done a good job with High School Pete. 7. Happy and Aunt May? Looks like those rumors are true. Cute. Yet another reason for Pete to feel mortified. 8. Nick Fury’s getting to be the Zelig of the MCU. He doesn’t get his own movie but he keeps showing up in everyone else’s. 9. Will MJ ever say, “Face it Tiger, you just hit the jackpot”? 11. Requisite obvious Avengers: Infinity War/Endgame joke: I guess Peter survives. Har har har. 13. The music. The music, the music, the music. The 1967 cartoon theme is, to this very day, Spider-Man’s most cherished musical touchstone but it’s always been played for laughs in the movies. Finally, Paul Francis Webster and Bob Harris’ tune gets the epic treatment it deserves. — 13 COVERS: Spider-Man vs. Mysterio. Click here. — 13 Things to Love About SPIDER-MAN: HOMECOMING. Click here. Dan, you nailed it! Love to see the webs raised again, they wash out in the silkscreening. I think Fury gives him Red/Black because he didn’t pack it for the trip. Yeah, that was my sense too. He got the new costume because the other one’s in New York. Thanks, Lou! Nick Fury being there reminds me of the Ultimate Spider-Man cartoon from a few years back. Tom Holland’s version of Pete is very similar to that, as well. While that isn’t necessarily MY Spidey, it’s a version I can appreciate. I liked Homecoming, so I think I’ll dig this one, too. I pretty much agree with everything you just said.